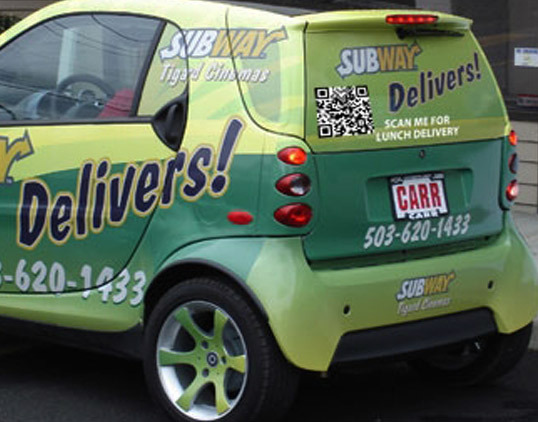 How do you make your wrap speak to consumers? 1. Provocative design choices. 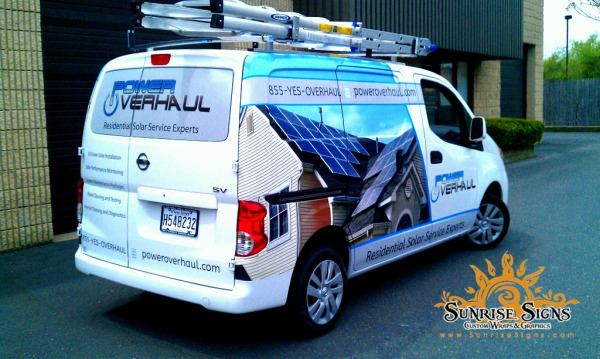 Catching the eye is the key element for a highly successful wrap design. The average motorist is not looking for something to catch her/his attention while driving in traffic. 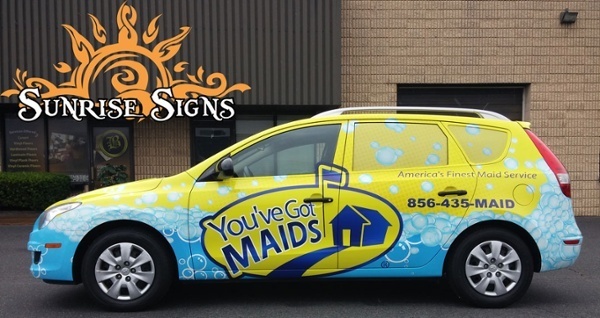 It is here that a well-designed wrap product with the right style elements and color choices can cause the driver to do a double take and pay attention to your vehicle. Bold colors, reflective graphics, glow-in-the-dark style elements, and artistic visuals are just some options that are open to you. 2. Strategic message selection. A wrap should not be a hodgepodge of company, product, and service marketing messages. Add a branding element, and the design loses its focus. Instead, take the opportunity to brainstorm with our graphic artists on the tenor of your intended message. Do you want to draw attention to a particular product or service? Are you aiming to introduce your company to local consumers? Choose a specific message that you then design your wrap around. 3. Brand differentiation. Tell consumers how your business differs from the competition. If you are a landscaper, what is it that you provide, which other landscapers do not? Do you handle landscape design? Do you have arborists on staff? Do you include seasonal fertilizer applications in your service packages? In short, how does the selection of your company benefit the consumer? We can express this information with lettering against the backdrop of an image that shows the service or product in action. 4. Less is more. You have about five seconds to get a consumer’s attention and keep it. In moving traffic, you may have even less time. For this reason, we warn our clients away from an overload of graphics content. Remember that your message needs to pop to speak to the consumer. What must stand out is your company’s name and logo. Next, the focused advertising message must come through. The rest is the detail work that motorists appreciate when waiting at a red light or passing your car, truck, or van. 5. Call to action. Tell consumers what you would have them do. 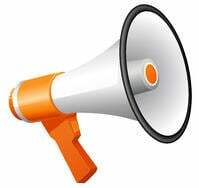 Do you want prospective customers to call you? Should they connect with you on social media? Do you want them to visit your website via a quick response (QR) code to take advantage of special offers? Be clear on your call to action since it is the gateway to further interactions between your business, its brand, and the customer. Of course, there are still other ways of making your wrap speak to consumers. This applies in particular in a franchise setting where the corporate guidelines determine the majority of graphics and wrap designs. Following these rules to the letter is crucial for the brand message that this type of business seeks to convey. That said, there is frequently a bit of leeway to add a social media icon that allows for personalized interactions. 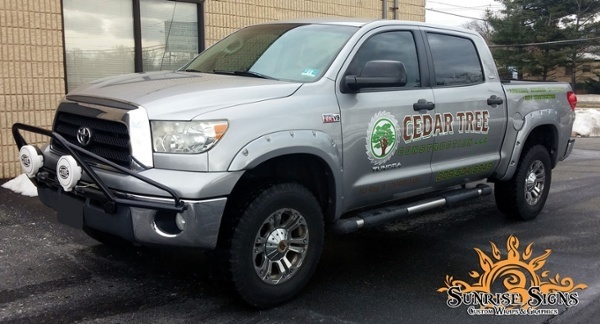 If we have inspired you to look into vehicle wraps in South Jersey, contact our graphic artists for more information on the products. Get started on your project today. 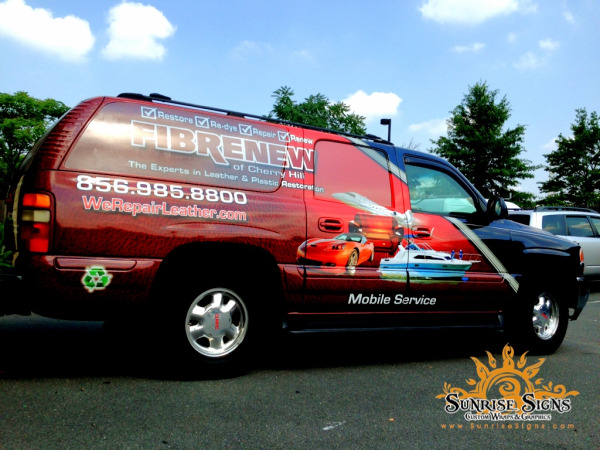 Tag: vehicle wraps south jersey, 5 Ways Your Vehicle Wraps Speak to Consumers, Do Your Vehicle Wraps Speak?